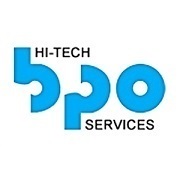 We at Hi-Tech BPO Services are one of the leading BPO Service providers in India. For outsourced data processing solutions, right from data collection through web scrapping to data entry, data processing to document management and graphics designs; we are the preferred ones for small businesses and Fortune 500 companies alike. Mr. Banthia is a Dynamic Computer Engineer who brings in more than 15 years of work experience in administration, human resource management, marketing, public relations and government liaison in multi-services and multi-industry scenario. Mr. Mistry has been with the company since its inception in 1992. He has rich and varied experience in the world of business process outsourcing, which includes various industry horizontals such as data processing, customer support and marketing, administration and human resources. Mr. Sangani is responsible for ensuring customer satisfaction by value addition and thereby building long-term and mutually beneficial business relationships. He has 11 years of extensive International Marketing experience and holds an established track record in identifying opportunities in the global markets and successfully managing client relations.